You’re looking for a safe place for your fighting vehicles? We officially declare the search over! The 60 mm high foam tray is perforated with a raster. It allows you to individually remove segments with a 14 mm * 14 mm base area. You are thus enabled to configure the compartments of the trays according to sizes of your specific types of tanks. As soon as you are finished configuring the compartments, just pull the foil from the tray and adhere the foam base to it. Your tanks are now safe from falling out. 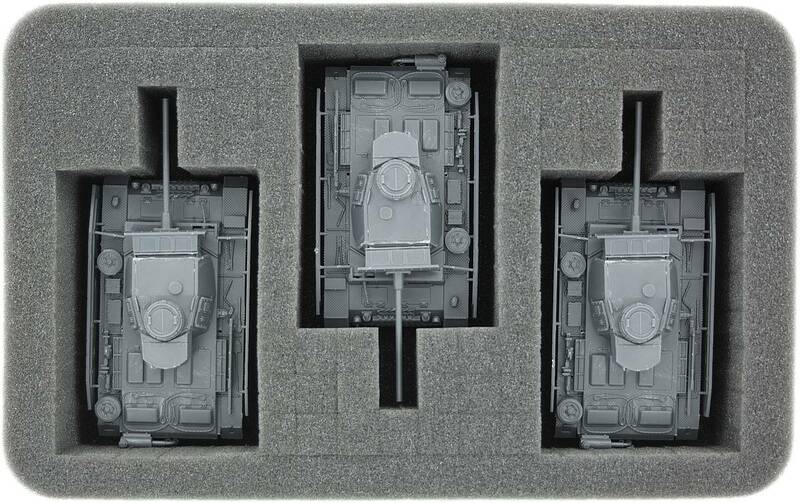 The fine-pored foam reliably protects delicate parts of your tanks like e. g. cannons from breaking. Also, rest assured that the surface of your fighting vehicles is as safe as it gets – if you painted your models you can thus be sure that they will shine on the battlefield. 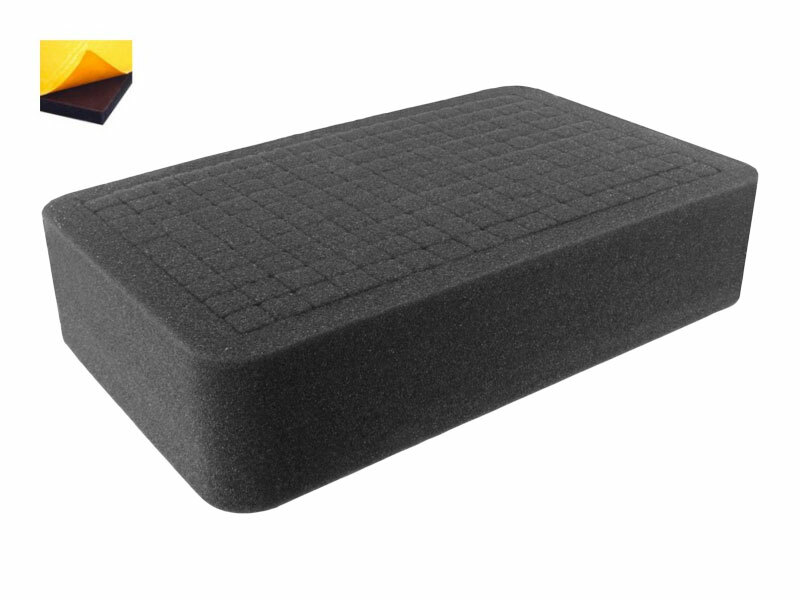 The raster foam tray has the dimensions: 275 mm x 172 mm x 60 mm height.